It's been two years since the entry into force of Decree 28/2016 regulating holiday rental properties in Andalusia. Half of all holiday rental properties in Andalusia registered before the Tourism Registry of Andalusia are located in the province of Malaga, according to the information published by Diario Sur in February 2018. This means that, in Malaga, there are over 18,000 tourist apartments registered. The same newspaper has published that, in Malaga alone, there have been 1,354 inspections and 250 properties have been fined. One of the most important requirements to be met by these properties is that they must have an initial-occupation licence as well as cooling and heating equipment. Once an RTA / VTAR number has been obtained, the property owner is required to include the registration number in advertising as well as in the promotional page on AirBNB or similar platforms offering these properties as holiday rentals. If the property does not have an initial-occupation licence, it should not be registered before them. I use the word “should” because the registration form is an affidavit, for which reason the property owners submitting it declare, under their responsibility, that the property meets all the legal requirements and the Andalusia Council will register the property automatically, without performing any prior inspections. However, if an inspection later finds that the legal requirements are not met, the owners will be fined. There are many properties without an initial-occupation licence, due to different reasons, such as the age of such buildings, problems with the housing development, etc. This has driven some municipal councils to implement a specific procedure to obtain an initial-occupation licence solely to register the property before the Tourism Registry of Andalusia. Some of these councils are Málaga, Mijas and Benalmádena. The situation of holiday rentals in Nerja deserves a special mention. Nerja Council has paralysed the granting of initial-occupation licences since the entry into force of the Tourism Decree. A month and a half ago, the council also established a procedure to grant such initial-occupation licences only for the purposes of registering properties before the Registry of the Andalusia Council (RTA). The website of the municipal council now includes the form necessary to file this application. 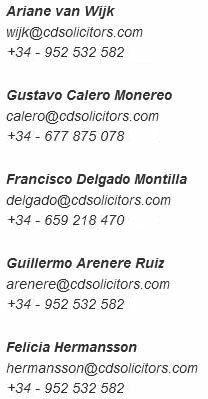 Over one year ago, our firm requested a copy of the initial-occupation licences of different properties in Nerja and, two weeks ago, we started receiving responses from Nerja Council. Fortunately, the situation of these holiday rentals in Nerja seems to be in the process of being brought in line. This is definitely good news for all interested property owners as well as potential property buyers who will have the ability to obtain the initial-occupation licence necessary for registration. Another significant change that took place recently in the regulations set down by the Andalusia Council is that affecting holiday rentals located in towns with fewer than 20,000 inhabitants. These are towns such as Torrox, Viñuela, Alcaucin, Frigiliana, Competa, as well as most towns in La Axarquía. Properties in these municipalities are not eligible for the 2016 Decree due to the properties being located in towns with fewer than 20,000 inhabitants. However, since February of this year, it is possible for them to be eligible for the 2016 Decree as they will no longer be considered rural properties, which, until now, was the only way to register these properties as holiday rentals. Due to the boom in holiday rentals in certain cities, such as Malaga, the Council has published a list of the registered holiday rentals. This tool seeks to inform tourists about accommodation possibilities in the city and is also a tool to control the tourism boom affecting the city. It should be noted that Malaga city is currently experiencing a significant boom in tourism, especially around the historic city centre. This has led to the emergence of plenty of tourist accommodation options, which has resulted in price rises for long-term lettings due to the low property supply as owners opt to offer the properties to tourists instead. Over the last year, the historic centre has lost residents to holidaymakers. The Malaga Council is already debating the measures that should be taken to limit or regulate holiday rentals and make residential and tourist use compatible, so that residents are not lost and it is possible for people in the community to access rental homes, taking into account the average income in Malaga. You can see the case of Palma de Mallorca, a city that recently approved a norm prohibiting holiday rentals. It is important to remember that property rentals are subject to taxation, for which reason owners –whether resident or not (IRNR)– must declare the profits obtained from such rentals. Non-resident owners must declare such profits through form 210, which is submitted quarterly. Fortunately, since January of this year, the procedure has been simplified to make it possible to declare, in form 210, all the earnings obtained from renting the property as a holiday rental over the quarter, even if they come from different occupants. If the non-resident property owner owns several properties, a separate form 210 must be submitted quarterly for each one, and 19% of the total earnings obtained will be paid as tax, with the ability to deduct certain expenses according to the period of rental during that quarter. 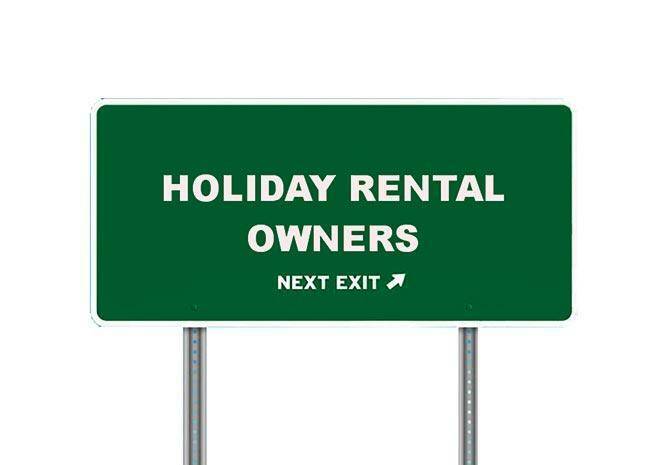 It is interesting to note that, if you are tax resident in Spain, holiday rentals are taxed at a higher rate than rentals of usual residences –residential rentals–. This is the case because the Tax Agency allows these residential rentals used as the tenant's usual residence to apply a reduction of 60% over the positive net return obtained from the rental. However, this deduction is not allowed for holiday rentals offered by tax residents. Currently, there are still many property owners who do not declare rent but, if the Tax Agency devoted some attention to this matter, it could start inspection proceedings ex officio, by simply visiting a few websites and comparing them to the list of properties registered in the Tourism Registry of Andalusia.